There are few things more annoying than having your key break off in a lock and needing a key extraction. Luckily, for anyone living in San Diego, CA and surrounding areas, you can turn to the professional locksmith team at 858 Locksmith and get that key extraction done the right away. Our 30 min response time and 24/7 locksmith service along with our up front pricing means we can get you back into your home, shed or automobile any time. What is a broken key and when do the incidents occur? A broken key can occur for a variety of different reasons, from a rusted lock to a weak key. Let’s take a look at some situations that can cause a broken key and a need for key extraction. As you can see there are many problems that can lead to a broken key…and sometimes keys just break and then you need a locksmith. Our professional team of locksmiths are licensed, bonded and insured. Our team is fast and friendly and we pride ourselves on our upfront pricing. All of our expert technicians are trained in key cutting, key duplication and key extraction. Our mobile locksmiths get the job done quickly and efficiently so you can get back to work or play. Home is where the heart is…and everything else that’s important to you. 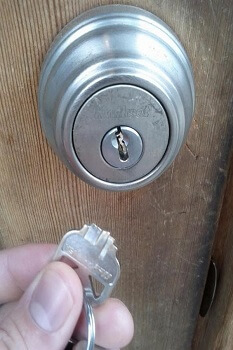 That’s why there’s nothing worse than having a key break in the lock to your home. Not only do you have a broken key but you can’t get into your home. Our mobile locksmiths will rush to your home to extract your key and help get you into your home. They can even cut you a new key if needed. We will do everything we can to get you back into your home as soon as possible. Your office or business probably has multiple locks and many sets of keys for each lock. This means that it is only a matter of time before a key breaks off in a lock and leaves you in need of a key extraction. On top of that keys can be lost, broken or stolen. Multiple locks and sets of keys just multiplies your need for a locksmith. Our licensed, bonded and insured locksmiths are available any time and our 30 min response time means that we can get your locks fixed and back in action in no time flat. We are always on call to help your business with its lock and key needs. Imagine that after a long day at work you go to your car only to have your key break off in the door lock or the ignition. This is the moment where you need a locksmith so you aren’t stranded with no way home or to pick up the kids. Luckily our mobile technicians are just a phone call away. They have extensive experience in broken key extractions and can perform them on all makes and models, foreign or domestic. As a 24/7 locksmith service we can help you get into your car at any time. Our amazing team of technicians is available, on call, 24 hours a day, 7 days a week. This means that no matter when you have an emergency with your keys, and let’s be honest any issue with your keys is an emergency, we will be there to help you. Our technicians are fast, kind and courteous and will do whatever it takes to get key problems resolved. 858 Locksmith is a 24/7 locksmith service servicing San Diego CA and surrounding areas. 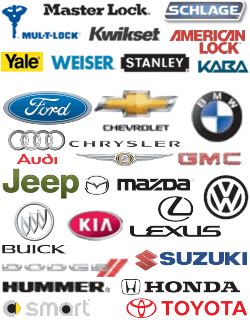 Our experienced technicians are trained as automotive residential and commercial locksmiths. We can help you with any and all your locksmith needs. We can make spare keys, fix a broken key in lock, and help you with any other needs. We pride ourselves on our up front pricing and rapid service. Key Extraction https://858locksmith.com/key-extraction/ 3.9/5 based upon 21 reviews.